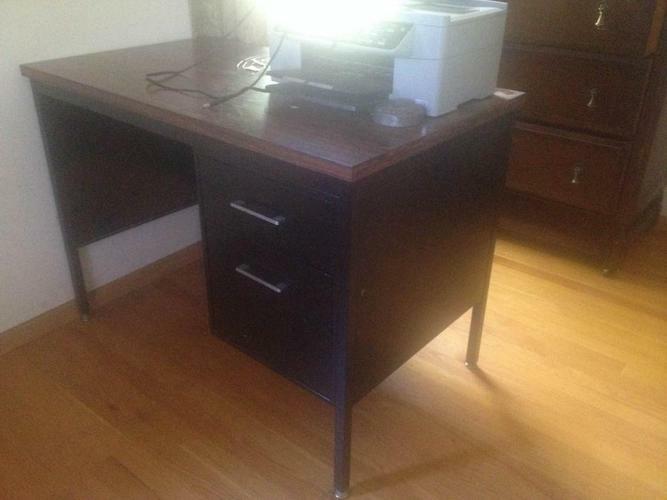 Small steel desk with 1 letter-size drawer & 1 file-size drawer. 24" X 42" X 30" tall. A bit heavy, but in very good condition.